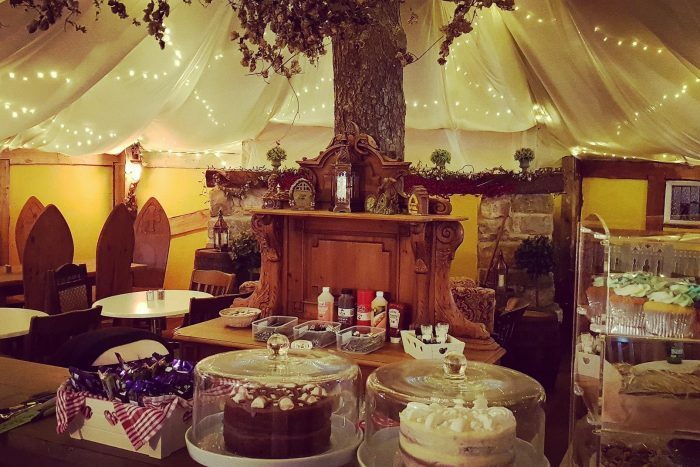 The Green Dragon Pie house and Tea Room serving rustic homemade locally sourced pies, delightful cakes and magical treats. We have great coffee, homemade cakes, a selection of tea, freshly bakes pastries, hot sweet pies with ice cream, scones and soft drinks. Why not visit us today? Surrounded by natural beauty and stunning views over long grassy cow fields out to sea. Our very first shire is a magical place in beautiful countryside and perfect for family holidays. The round house is available for private hire can seat up to 50 people and can be used for private functions, birthdays, small weddings, wedding ceremonies and corporate hire. Please check the calendar below for availability or call 01287 642228.